Product prices and availability are accurate as of 2019-04-18 16:17:55 UTC and are subject to change. Any price and availability information displayed on http://www.amazon.co.uk/ at the time of purchase will apply to the purchase of this product. 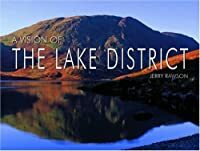 The Lake District is to leisure walking what Vienna is to the waltz, Venice to canalization, Bletchley to code-breaking, Chicago to the blues, and Dublin to the brewing of porter. None of these places invented the related pursuit, but in each the activity was honed to a fine art. 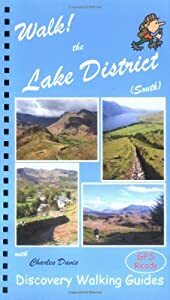 With superb lakes carved into spectacularly sculpted valleys, long rugged ridges blessed with imposing panoramas, jagged crags dangling from grand peaks, sweeping dales cradling remote hamlets, and barren fells tonsured with arcane henges and ancient ruins, the Lake District has everything the dedicated wilderness seeker could desire. All 37 walking routes include: walking route summary, ratings for Effort Time Distance Ascents/Descents Refreshments and Vertigo risk, fully detailed walk description including frequent timings to aid navigation and check your progress, GPS waypoints at every key point on every route, full colour 1:40,000 scale Ordnance Survey licenced mapping for each route, short walk and stroll alternatives Synopsis Including GPS Waypoint lists and a Place Name Index, this 160-page colour book contains walking routes within the Lake District South region. Wire-O spiral binding allows it to lay flat and be folded back on itself without damage. It features: route summary of exertion rating; refreshments rating; time, distance, ascents/descents; and more.